Finding houses proves difficult for many in Bangalore as Muslims and non-upper caste Hindus complain of discrimination. Finding a house for rent in the southern Indian city of Bangalore – a city that prides itself for its cosmopolitan credentials – is not an easy task. S V Srinivas, a visiting professor at the Centre for Contemporary Studies of the Indian Institute of Science, came across a suitable house close to his workplace in Jayanagar some years ago. The landlord, a Brahmin by caste, asked him the predictable question: “Are you a vegetarian?” The underlying reason for renting houses to “vegetarians only” is almost always caste (Brahmins and Lingayats – who were considered the upper castes in the Hindu caste hierarchy – are vegetarians by faith), and the mode of inquiry is not exactly discreet. 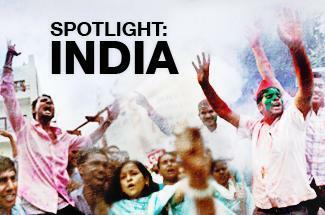 Sociologists have often theorised that urbanisation could signal the end of India‘s notorious caste system. Yet, urban spaces are no guarantors of anonymity in India and “housing-apartheid” is thriving in many of its cities. Upward-mobility of the “backward” classes and access to wealth may have changed the situation only marginally. When G K Ramaswamy, a retired professor of sociology, wanted to rent out his house in Banashankari – a relatively new locality – his Brahmin neighbour insisted that he rent the house only to vegetarians. It is a different matter that Ramaswamy, a human rights activist, did not concede to his neighbour’s request. Over the years, several localities in Bangalore have come to be unofficially known as “Brahmin area”, “Lingayat-dominated layout” or “Vokkaliga area”. Even within these localities, people of other castes are confined to a small cluster or slum which is visibly different in terms of prosperity and upkeep. The Jain and Parsi community informally ensure that they stay in exclusive apartment complexes. The situation is worse for Muslims, who are predominantly confined to areas such as Shivajinagar, Jayamahal, J C Nagar, Sultanpalya, Rehmat Nagar, Islampur and Kavalbyrasandra. Ghettoisation – forced or self-imposed – has emerged as a harsh reality. N A M Ismail, a journalist, found out the hard way just how deep sectarian attitudes run even among the so-called lower caste Hindus. “I was responding to newspaper advertisements. The minute I gave my name, they would say ‘We don’t want Muslims’. Even Dalit, Reddy and other backward caste landlords don’t want Muslim tenants,” said Ismail. Ismail pointed out how Muslim tenants also preferred Muslim house-owners. “After repeated insults, I gave up looking for a house through advertisements. I finally found a house for rent, and it is owned by a Muslim,” he said. Several caste-based gated communities stand testimony to the ghetto-culture. 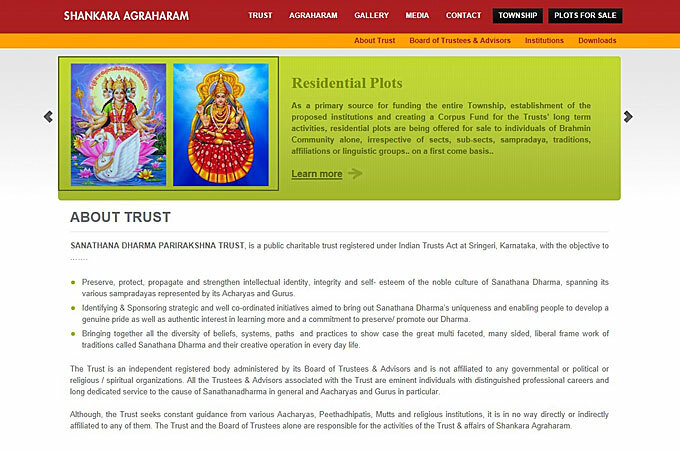 A township of 1,200 residential plots – Shankara Agraharam – that is coming up at Bagepalli, about 90km from Bangalore, has openly advertised that it is exclusively for Brahmins. Elaborate application forms, which will be scrutinised by the Trust, have to be filled in by prospective buyers and they are allowed to resell their plots only to Brahmins. K V Dhananjay, an advocate, has written both to the federal and state governments to stop the project. “Discrimination in housing on the basis of caste happens elsewhere too, but not openly. This is a pernicious practice. If it is not stopped, many such projects will come up,” he says. He and his friends have now petitioned the Supreme Court to intervene. 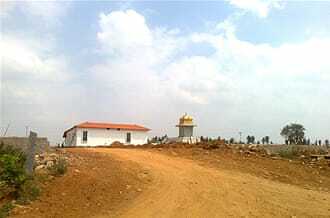 The Sri Renuka Basaveshwara Divya Dhama, another gated-community also near Bagepalli, is building a 120-acre township that was initially reserved for Lingayats, but “opened up” after the media slammed its revivalist agenda. Last November, an apartment seller in the financial capital of Mumbai had triggered national outrage by advertising for only “non-Muslim” buyers. “Excellent brand new 2BHK fully furnished flat with cross ventilation, natural light. Cosmopolitan society, no Muslims, with car parking on immediate sale, fifth floor interested please call,” his advertisement on a popular property web-portal had said. In more recent times, the travails of one Captain Zainul Abidin Juvale in renting a house in Mumbai’s upscale Bandra locality have set the media agog. Juvale had helped to rescue hundreds of Indians stranded in Kuwait when ex-Iraq ruler Saddam Hussein invaded the country in the early 1990s. But he himself now needs help as he has failed to rent a house, ostensibly because few landlords are willing to have a Muslim tenant. “Nobody asked me my religion when I risked my life to rescue fellow Indians … Now I am being made aware of my Muslim identity,“The Times of India newspaper quoted Juvale as saying. Similar brazen discrimination – based on one’s caste or religion – has, however, largely escaped public scrutiny in Bangalore.